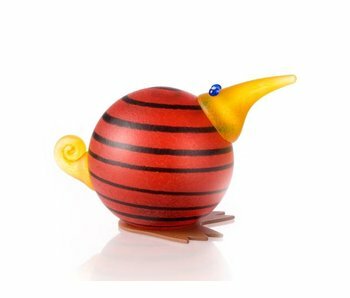 Heavy and exclusive Borowski glass art object Gonzo; a bird in the color amber with stripes on the belly and colored details. This is a glass object for connoisseurs. Suitable for outside and outside. Height 37 cm. 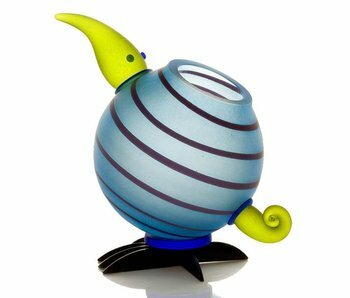 This bird, of glass the New-Sealand Kiwi, is fun as paperweight or as decorative glass object. Mouth-blown glass art for the Borowski Studio. 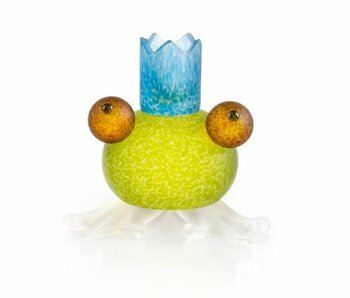 Artistic glass object Frosch which is both decorative but also practical. A bowl of 33 cm wide. This art object is made of frosted glass. 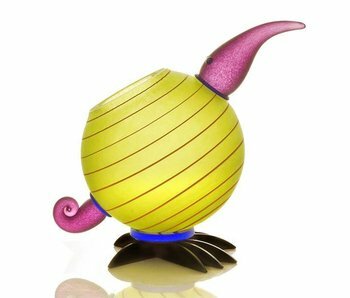 Hand formed / mouth blown by the famous Glass Studio Borowski, belonging to the World Summit in artistic glass. Hand made and mouth blown glass bowl Ente small, part of the Borowski Glass Studio. Great as a bowl. Length 35 cm (14 inch). 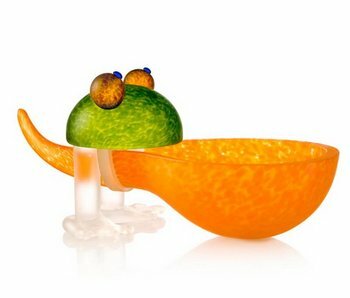 Hand made and mouth blown glass sculpture / bowl Ente Big in orange, part of the Borowski Glass Studio Collection. 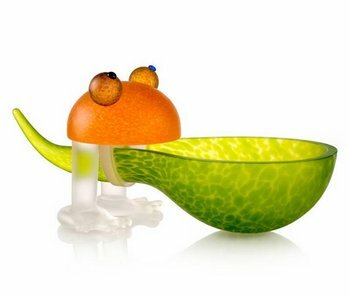 Great as a bowl. Length 42 cm (17 inch). This is a beautiful Kiwi vase made of frosted glass by Studio Borowski. 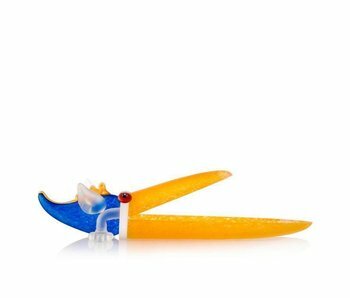 This glass art object is decorative as well as practical. Height Kiwi vase is 40 cm. Paperweight bird Kiwi is an artistic frosted glas object. 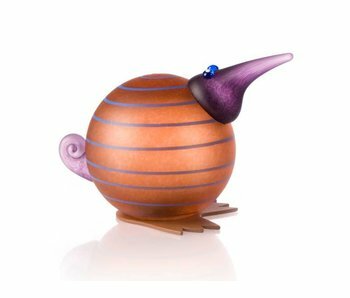 Decorative mouth-blown piece of art object handicrafted by the famous Borowski Art Studio in Germany. 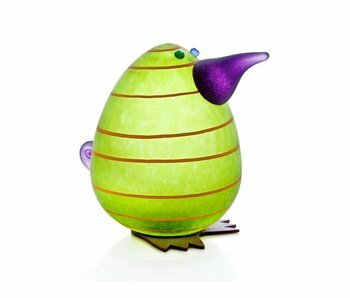 Kiwi Egg paperweight, Lime green, height 18 cm / 8 inch. An art object of frosted glass with horizontal lines and metal feet. 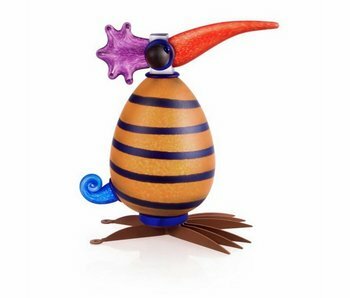 A handmade/mouth-blown design of the world-renowned glass studio Borowski. 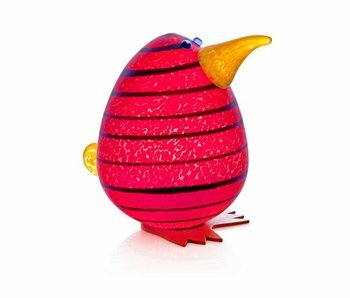 Kiwi Egg paperweight, red, height 18 cm / 8 inch. An art object of frosted glass with horizontal lines and metal feet. 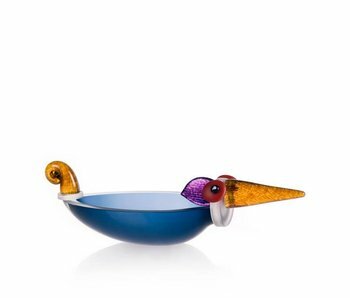 A handmade/mouth-blown design of the world-renowned glass studio Borowski.